Combining exotic tonewoods with premium pickups and appointments, the limited-edition Rarities Collection creates a truly unique musical experience. 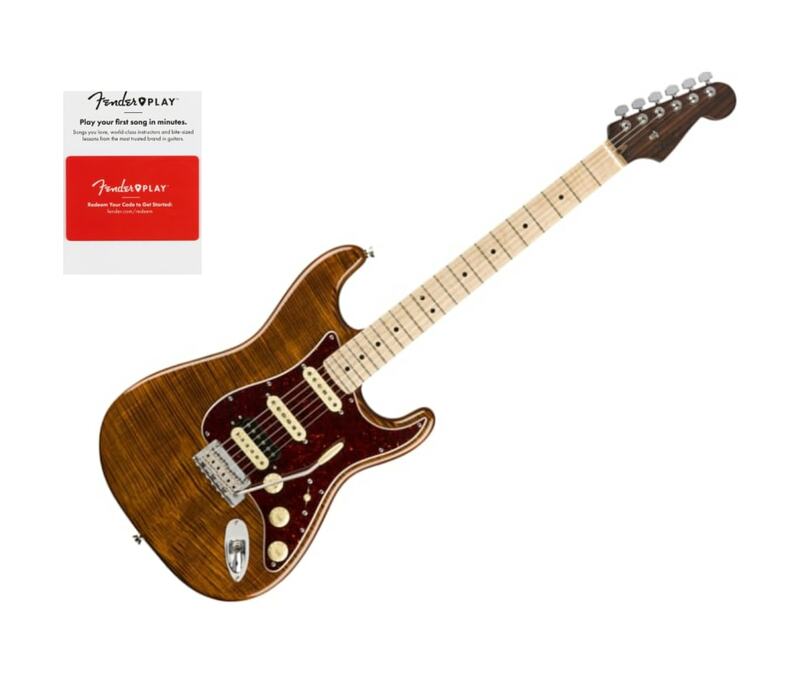 The Rarities Flame Maple Top Stratocaster features a two-piece alder body with a flame maple Golden Brown top and a solid rosewood neck capped with a flame maple fingerboard. The Pure Vintage 65 Strat pickups add a classic voice to the more modern, custom DoubleTap bridge pickup which offers both a sweet humbucking voice andvia an S-1 switcha dynamic single-coil sound.